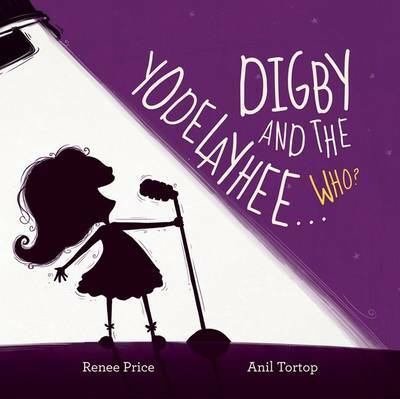 Digby and the Yodelayhee…Who?, Renee Price (author), Anil Tortop (illus. ), Create It Kids, March 2017. Strumming up a musical storm in a delicious brimful of plonks, plinks and twangs is the energetic page-turner; Digby and the Yodelayhee…Who?. Sequel to the adventurous antics of Digby’s Moon Mission, here is a seamless transition from the moonlight to the limelight. 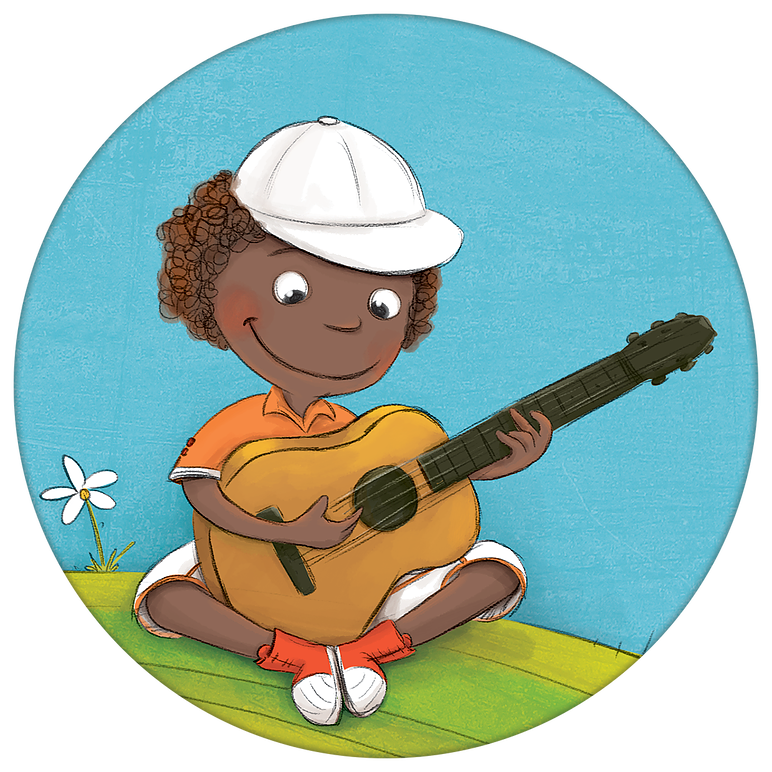 And just like its predecessor, the themes of teamwork, curiosity and problem solving, and the teachable concepts of measurement (telling time and noise levels) are included and presented in a whole new and refreshing melodic tone. 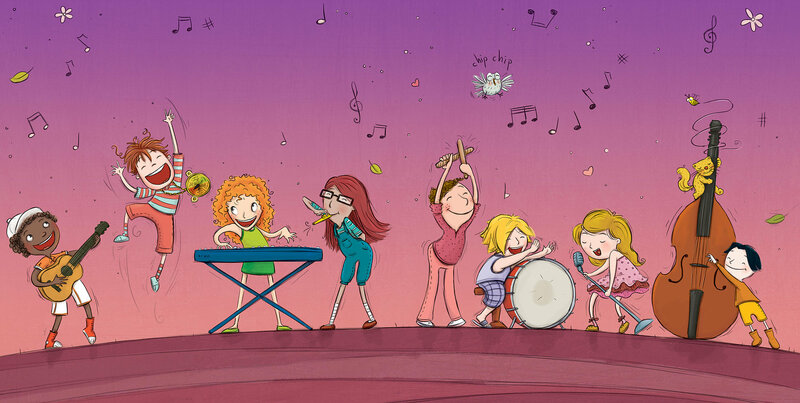 Price’s musical background is showcased in full spotlight, incorporating not only different instruments and their sounds but also in the way the narrative has been pitched. She has written this story with a tuneful arrangement, harmonising between rhyme and prose, just like the verses of a song. Clever! Anil Tortop’s mixed-media illustrations once again bring life, colour, vibrancy and a discernible swag to the pages, composing the opportunity for a hand-clapping, toe-tapping, bottom-wriggling romp for its audience. And to add further to the liveliness of this book, Digby and the Yodelayhee… Who? 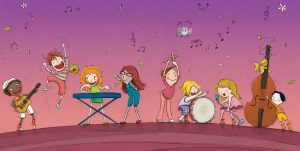 is accompanied with swinging song notes and QR code for ‘Digby’s Jam’; a lyrical composition by Renee Price (and family) herself! Digby is perplexed by the mystery of a ‘super-duper noise’. So he sets out on yet another mission to find a conclusion. It takes five hours of careful auditory processing, watching each of his trusty friends explore a different instrument at different hours of the day. Stanley strums on his guitar at half-past one, Sophie toots on her kazoo at half-past two. Finally at half-past six the noise-o-meter makes a much-needed appearance, and when it rings out a ‘Thunderous!’ sound the gang know just where to look. With their newly acquired yodelling prowess in tow, the group enjoy a noisy jam… but there’s another unexplained sound to settle! Euphoniously delightful as a read aloud experience, visually dynamic, encouragingly active, humorous and imaginative, Digby and the Yodelayhee… Who? will lead its preschool audience on a most exhilarating journey of resounding goodness. For more information on this innovative and talented creator, please read my interview with Renee Price on Digby and the Yodelayhee… Who? here and through the Digby Fixit interactive website here.